The NRS Zen Rescue Life Jacket is a great choice for paddlers and guides who want a great fitting, comfortable PFD with swift water rescue features like a quick-release belt. This jacket, based on the popular NRS Ninja Life Jacket, has 17.5 pounds of PVC-free flotation. It is so low profile and comfortable you'll forget you have it on, until you need it. The 1 1/2" quick-release rescue belt, with stainless steel attachment ring, gives you the safety you need for detaching easily from a rope or other anchor point. Reinforced shoulders take the strain of rescue maneuvers. Front floating panel gives a better fit and a quick-drying VaporLoft™-lined place to warm your hands when it's cold. 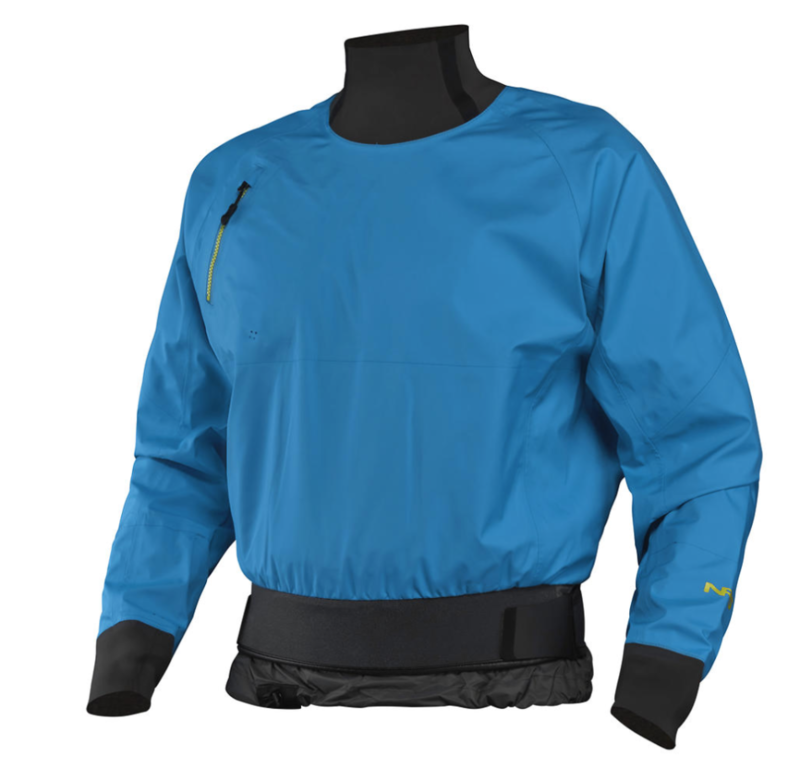 Padded protection along the arm holes and sides of the jacket provide crucial impact protection. Convenient side entry for easy donning of the jacket. Large pouch, with hook-and-loop closures, behind hand warmers holds additional rescue gear. Carabiner attachment loop for end of a tow tether has a convenient release tab. Strobe attachment loop on the back of the jacket for use in low-light situations. Lash tab for your rescue knife. Four side and two shoulder adjustments for a custom fit.